Winterset’s Aquatic Center is operated by the City of Winterset. It features a zero-depth entry suitable for young children, several slides and water features, shaded areas and lounge chairs, lockers, concessions, and trained lifeguards. It is located at 1201 W. Jefferson Street. 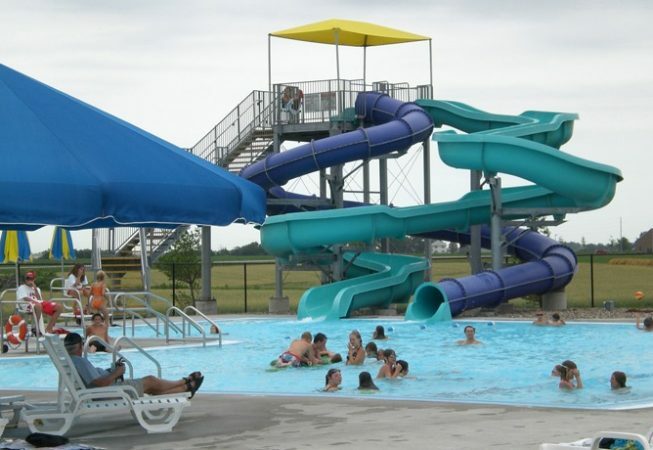 For information about pool fees and open hours, visit the Aquatic Center page of the City of Winterset’s website, or give them a call from Memorial Day through mid-August at 515.462.1114. Off-season questions can be directed to 515.462.3258.